The Premier League continues to thrill fans around the world and week 31 is unlikely to be any different, writes DEAN WORKMAN. Here are five things to expect from this weekend’s Premier League action. Manchester United were not in the best of spaces heading into the international break. They were knocked out of the Champions League after an abject performance at Old Trafford against Sevilla and, despite beating Brighton 2-0 to progress to the FA Cup semi-finals, were lambasted by Jose Mourinho for their performance. Mourinho’s team host a rejuvenated Swansea City this weekend. The Swans may be in good form since the arrival of Carlos Carvalhal but expect the Red Devils, who have an impeccable home record under Mourinho, to ease past their visitors. 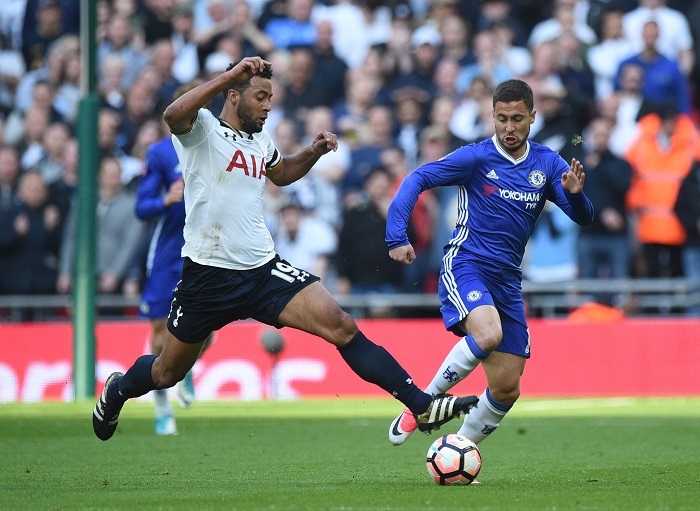 Chelsea host Tottenham Hotspur at Stamford Bridge on Sunday. Mauricio Pochettino’s team have a woeful record at the Bridge where they have not won in the league since 1990. The magnitude of the game is there for all to see as three points could be a deciding factor in who finishes in the top four. Antonio Conte’s team sit five points behind their London rivals making the three points an absolute necessity to keep their hopes of qualifying for the Champions League alive. These subplots promise to make this an entertaining fixture where I expect the Blues to have too much for a team who are without their star striker Harry Kane. Call me crazy but I think that Crystal Palace could provide a shock result against Liverpool this weekend. The Reds and star man Mohamed Salah have been in scintillating form, which could see this prediction blow up in my face. Liverpool, however, have not recorded a league double over the Eagles in 20 years and who could forget the capitulation that occurred at Selhurst Park that ultimately cost the Merseyside club the league in the nearly year. Palace also have a manager in Roy Hodgson who has the tactical ability to stifle Jurgen Klopp’s team. Like I said, this prediction could very well blow up in my face, but I expect Palace to get something out of this game. Mark Hughes will be in charge of his first Premier League at Southampton when they travel to the London Stadium to take on a West Ham United team who are in turmoil. The Hammers were comfortably beaten 3-0 by Burnley in their last game which was marred by pitch invasions and crowd violence. Expect the Saints to get a lift from the new manager bounce, as so many other teams have before them, and further deepen the woes at the London Stadium. Manchester City travel to Goodison Park to take on Everton on Saturday. Pep Guardiola’s men can take the penultimate step towards the title ahead of the Manchester Derby next weekend. Victory against the Toffees and against Jose Mourinho’s men will see City secure the league in an unprecedented fashion. Expect City to ease past Sam Allardyce’s men who have been inconsistent as of late.